Comments Off on One day wonder: everything -20% for just one day! One day wonder: everything -20% for just one day! The fast rotation of fashion garments is a big problem to many stores as they have to get rid of the “old” season before presenting the garments for the new season. The old ones are sold with super sales and the rest will end up on landfills in the worst case scenario. As the Nurmi products are not that linked to any particular season, we’re in no rush to get rid of all the “last season” garments with super sales. Many of the styles will continue to the new collection – so Nurmi is never “so last season”! 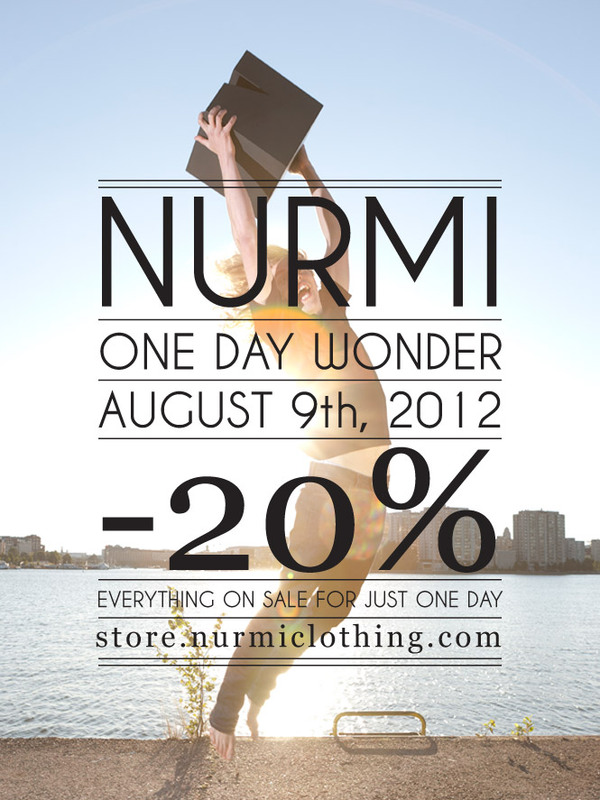 To receive the -20% discount please add coupon code “ONEDAYWONDER09082012” at checkout. Click to Nurmi webstore.